Rapid progress in technology in cities like Bangalore and Shanghai has helped in driving real estate growth, according to JLL’s latest report City Momentum Index 2016. Focusing on “The Rise of the Innovation-Oriented City,” JLL notes that urbanisation and technological advancements in certain areas have paved the way for building “innovation-oriented economies” that transform real estate projects and infrastructure. London tops the international list for a second consecutive year, followed again by Silicon Valley in San Jose, California. 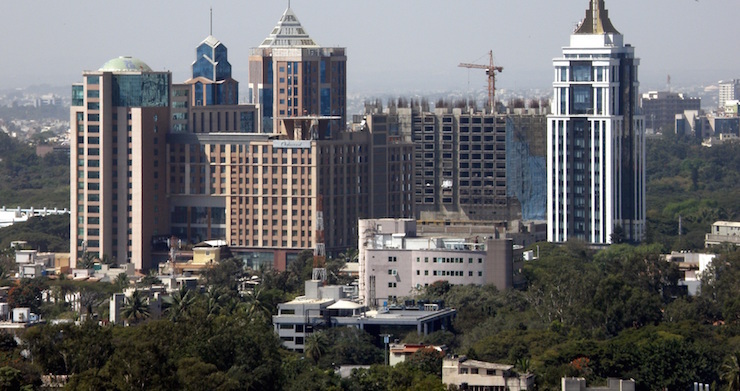 In the Asia-Pacific region, Bangalore takes the top ranking, and fourth overall. Home to some 40 percent of India’s tech giants, the city’s reputation for innovation is boosted by a mix of research and higher education institutions. With an increasing population of high-earning IT professionals, the “Silicon Valley of Asia” has a changing urban landscape with a long-term foundation for success in innovation. Another city in India, Hyperabad, joins this year’s global top 20 and is ranked eighth in Asia-Pacific. The two Indian cities’ latest infrastructure projects can now with more workers in the IT industry, increasing their liveability factor. Projects include the development of the Chennai-Bangalore and Mumbai-Bangalore Industrial Corridors, and the first phase of Hyperabad’s Metro Rail Project, which is expected to start operations this year. Other Asia-Pacific cities that made JLL’s list are Shanghai (2) Sydney (3), Beijing (4), Shenzhen (5), Tokyo (6), Nanjing (7), Melbourne (9) and Seoul (10). Vietnam’s Hanoi and Ho Chi Minh City – sitting outside the Asian top 10 – have been identified as Asia’s growth hotspots, fuelled by economic progress, raw GDP growth and rise in foreign direct investments. The two cities are noted to transition into higher technology manufacturing industries, citing the expansion of Samsung’s research and development department with a USD400 million investment. Similar to India’s tech centres, the IT sector contributes to the growth in Vietnam’s two largest metropolitan areas, which should experience significant boost in the housing market in the second semester following the implementation of revised foreign ownership policies in July 2015, now that many more in the workforce can afford more real estate options. JLL’s analysis covered 120 cities worldwide and was also based on stastistical and non-real estate data from various sources such as the United Nations, Oxford Economics and the World Health Organisation.